The BBC has been working hard to push its video to a higher level of quality, beyond even 4K and HDR. The result is a new format called Hybrid Log-Gamma (HLG) which will mean the BBC can air new colours never seen on TV before. Today the BBC iPlayer will be showing off footage from Planet Earth II that has been rendered in UHD HLG format. 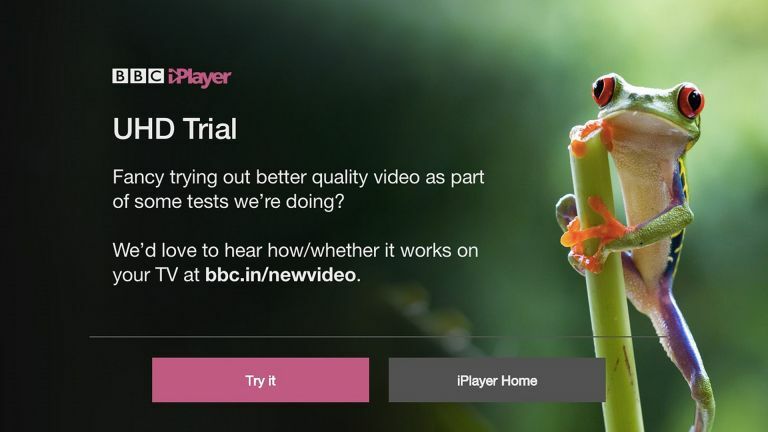 If you have a HDR and 4K compatible TV then when you open the BBC iPlayer app you’ll be prompted to watch the new video content. There is a four minute clip that can be viewed between now and the new year. The Beeb says the new format is able to show a hefty 10-bit colour range with a peak of 4,000 nits brightness - more than most TVs can handle. Thankfully the HLG format will down-scale to suit the HDR capabilities of current televisions meaning you can appreciate it in near its full glory right away. The BBC says HLG “works by enabling images to be shown in extremely high contrast. This provides greater sharpness, extended detail in the shadows and dark areas of the picture, a wider range of colours, and more natural and brighter highlights and mirror-like reflections”. The exciting thing about the BBC content being streamed on iPlayer in UHD HLG format is that this could be the start of a new level of resolution and quality for the broadcaster. This is a tester to show what can be done but will work with most TVs once they get a firmware update. Ultimately this is the BBC finding its own format that will work for a broadcast situation in the future. That could mean the BBC is airing content in UHD HLG over iPlayer as soon as 2017. It’s also possible to send the signal over the air so if this proves popular we could see HDR HLG broadcast over the air to our televisions soon too. The BBC nailed it, so why are ITV, C4 and C5's offerings so awful?